Summary: Love grows such strange things. Review: So, it’s been a while since I ugly sobbed my way through the climax and resolution of a book, but here I am, wanting you to have the exact same experience. In a book where love can—and often does—bring tragedy, it goes without saying that there would be a lot of heartache in store. There’s bucketfuls of it, passed on from generation to generation, of lovers vanished or sent away before the Nomeolvides curse can take hold of them. Wild Beauty starts off with a bang, when Estrella and her four cousins discover that they have all fallen (a little) in love with Bay Briar, a queer non-binary girl whose extended family owns the land they live on, La Pradera. The girls’ rush to sacrifice their precious things to La Pradera in an attempt to keep Bay from vanishing is what causes a boy called Fel, who has no memory of who he is or where he came from, to appear in their enchanted garden. And while Fel tries to figure out who he is, the girls, their mothers, and their grandmothers all have to wrestle with what Fel means as the only person to have ever been given back by La Pradera. Anna-Marie McLemore tackles love in its many forms, and there is an abundance of queer characters, young and old. The tragedy of the Nomeolvides family isn’t in who they love—it’s in the curse that steals anyone and everyone from them without warning. There is a wide range of love in this book, and some of my favorite moments were when love and caring and gratitude were given physical form through the cooking and sharing of food. Another major theme in the book is how privilege and the lack of it both radically shape opportunities and lives. Reid’s character in particular is a close-up examination and condemnation of powerful men who believe they are above others, and the heroes’ confrontations with and strategies to manage him were all too real. 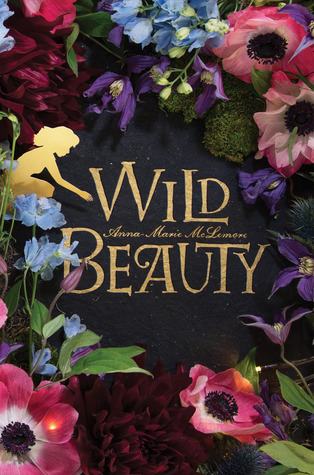 Continuing the pattern established by McLemore’s previous books, Wild Beauty has dual protagonists who alternate chapters. Estrella and Fel were excellent narrators, and the richness of their inner lives is a great fit for the lush prose. I really enjoyed the way the two of them connected and grew together. While there were occasional moments where I felt the story got bogged down by description, the meandering pace and lingering on the details generally enhanced the story and was a good reminder that the setting—La Pradera—is just as important as any of the people. This world is a fantastical one, with curses and women who grow flowers with their hands, and it is also a familiar one, where injustice and blood leave lasting scars that shape future generations. Recommendation: Buy it now if you want a big dose of queer characters and magical realism. McLemore’s newest offering is another great addition to any home or school library. Fans of McLemore’s previous work will find more of what they loved before in Wild Beauty, and the book will be just as welcoming to new readers. I’m looking forward to reading it again.